Earn $2.16 in Podium Club credit (216 points)What's This? 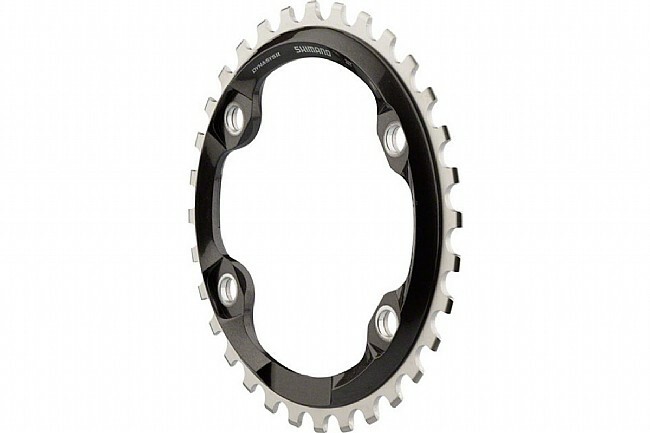 The Shimano Deore XT M8000 1x11 Chainring features 3D Composite carbon / stainless steel construction for incredible durability and a low weight. The Dynamic Chain Engagement tooth profile holds onto links 150% better than standard chainrings thanks to its slightly hooked profile. Designed specifically for Deore XT M8000 4-arm cranks.